고려 말부터 국정이 혼란한 틈을 타서 왜구가 해안지방에 침입하여 막대한 피해를 입히는 바, 이를 효과적으로 제압하기 위하여 조선 태종17년(1417)부터 세종3년(1421) 사이에 당시 덕산(德山)에 있던 충청병마도절제사영(忠淸兵馬都節制使營)을 이 곳에 옮기고자 축성(築城)되었으며, 효종3년(1652)에 병마절도사영(兵馬節度使營)이 청주로 옮겨가기 전까지 230여 년간 군사권을 행사하던 성으로 있다가 병마절도사영이 청주로 이설되고 해미현의 관아가 이 성으로 옮겨졌으며,1914년까지 겸영장(兼營將)이 배치되는 호서좌영으로서 내포지방의 군사권을 행사하던 곳이었다. 해발 130m인 북동쪽의 낮은 구릉에 넓은 평지를 포용하여 축조된 성으로서, 성벽의 아랫부분은 큰 석재를 사용하고 위로 오를수록 크기가 작은 석재를 사용하여 쌓았다. 성벽의 높이는 4.9m로서 안쪽은 흙으로 내탁되었으며 성벽 상부 폭은 2.1m 정도이다. 성문은 동·서·남·북 4곳에 있는데 네모지게 잘 다듬은 무사석(武砂石)으로 쌓았으며, 주 출입구인 남문은 아치모양의 홍예문으로 이루어져 있다. 이 읍성에는 동헌을 비롯하여 아사(衙舍) 및 작청(作廳) 등의 건물들이 빼곡히 있었으며, 천주교 박해와 관련된 유적도 일부 남아 있다. 1974년에 동문·서문이 복원되었고, 1981년 성내 일부를 발굴한 결과 현재의 동헌 서쪽에서 객사와, 현재의 아문 서쪽 30m 지점에서 옛 아문지가 확인되었고, 관아외곽석장기지(官衙外廓石牆基址)가 발견되었다. 성의 둘레에는 적이 쉽게 접근하지 못하도록 탱자나무를 돌려 심어서 탱자성이라는 별칭이 있었다. 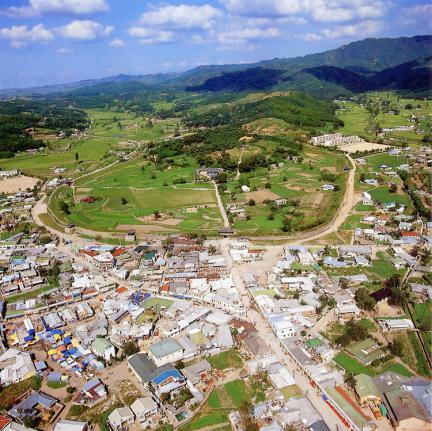 A town fortress was built in a town where a local government office was located. 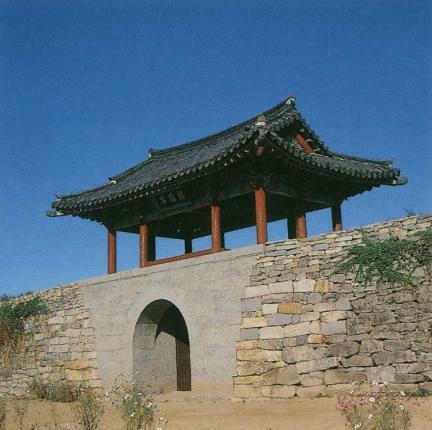 It was used not only as an administrative office but also as a military base. 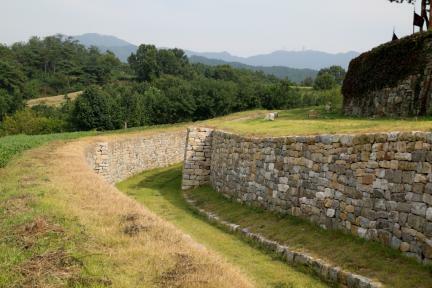 Normally, it served as an administrative office as well as the defensive fortress in times of emergency. 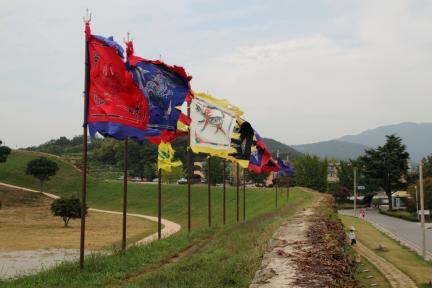 Haemi was the military base center from the 14th year of the reign of King Taejong (1414) to the 2nd year of the reign of King Hyojong (1651). 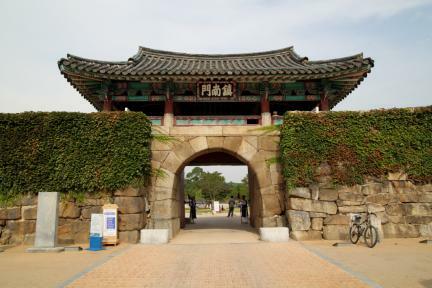 This fortress started to be constructed during the reign of the Great King Sejong, and it was completed in the 22nd year of the reign of King Seongjong (1491). 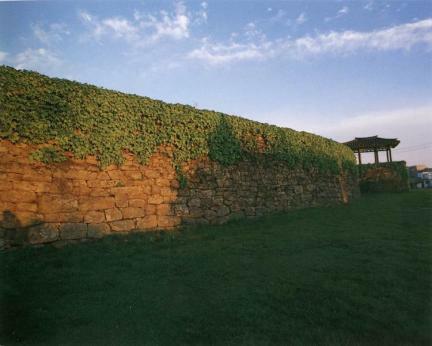 This fortress, originally built to protect against Japanese pirates, was a historical site where thousands of Catholics were executed during the French Invasion in 1866. Rev. 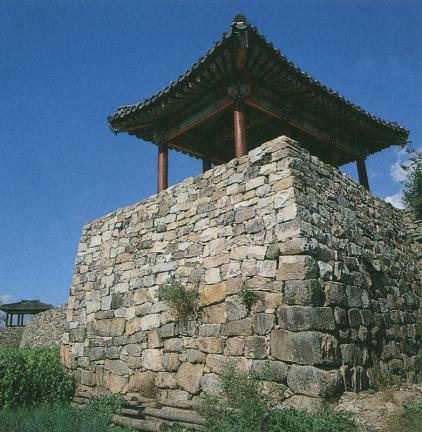 Kim Dae-geon was said to have been martyred here. It reportedly had another name -- trifoliate orange tree fortress -- since it was surrounded by trees. Including the magistrate's offices, some relics related to Catholic persecution remained. 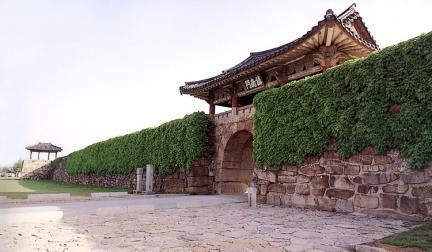 Among the east, west, and south gates, Jinnamnu, the south gate, had been preserved; the east and west gates were reconstructed in 1974. 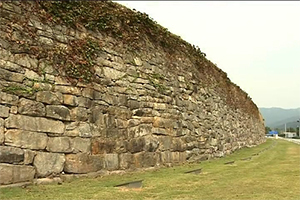 The facilities in the fortress were unearthed and were under investigation in 1980 and 1981. 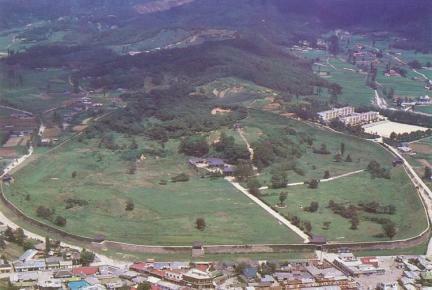 This was the most representative town fortress among the existing ones.